Intra-hospital or Inter-hospital transport of critically-ill patients is a significant area of patient care that requires precise control and management. First Care provide Qualified Crews and specialist equipment to carry out Inter-Hospital Transfers of patients requiring treatment, monitoring or medications and specialist transfers of Intensive Care Unit (ICU) patients, with or without an ICU medical team. At First Care we have assigned a dedicated team of clinicians and ambulance crew to undertake this area of patient transport. Their experience, technical know-how and training prepare them for any challenges that might arise. We also understand the necessities of critically-ill patients such as the requirement to be safely secured and continuously monitored. 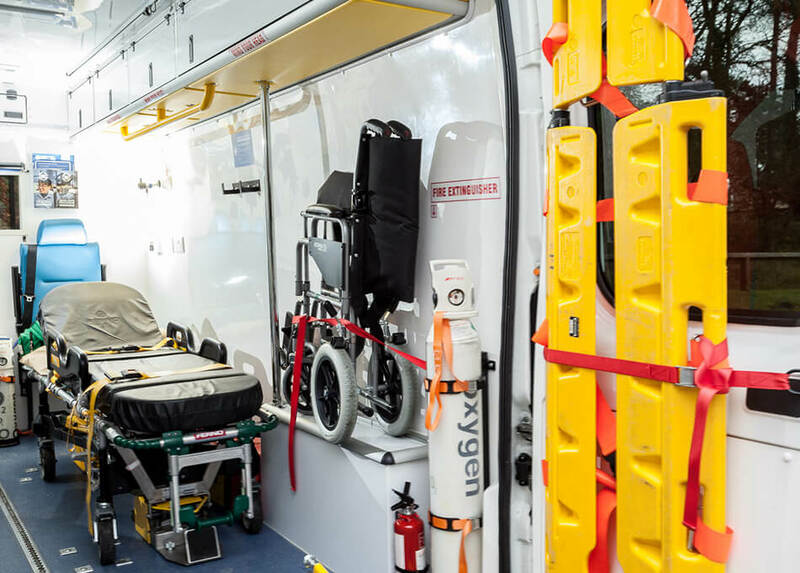 Our High Dependency Vehicles are equipped with ventilators, insulating blankets, life support and monitoring equipment. Designed specifically for patients who require clinical monitoring and treatment during travel, the HDU service provides an HCPC registered Paramedic as lead crew member supported by an experienced Ambulance Technician with ‘Blue Light’ qualification. A comprehensive drug stock is always on board and managed by attending Paramedic. All of our Paramedics maintain current HCPC status, which can be verified online. All of our HDU vehicles have portable and fixed ECG monitors with printout facility.